Why Did It Take So Long For Dems To Stick Up For Health Care Reform? Salesmanship is, of course, a crucial part of politics. And most Democrats would concede that, over the past two years, they've done a miserable job of touting health care reform. "None of us did a good enough job," Steny Hoyer told reporters yesterday. In the run-up to the midterms, Republicans ran wild talking about the Affordable Care Act in apocalyptic terms, while many Democrats—especially vulnerable members—just tried to avoid the topic altogether. It didn't work. There's a concrete law that's actually in place. Some of the regulations in the bill have just begun taking effect—for instance, seniors in the Medicare "donut hole" are receiving their checks—and, psychologically, it's always easier to make people nervous about the things they'll lose than excite them about what they might gain. "During the debate we were talking about hypotheticals," says Rep. Debbie Wasserman-Shultz (D-FL). "And now we can talk about real seniors that would have their prescription drug benefits denied if repeal is successful." That fact has led some Democrats to wonder if maybe it would've been shrewder to have the more popular bits of the health care law kick in earlier. ("In hindsight, that might have been better," says Rep. Xavier Becerra (D-CA). On the other hand, it means that defending the bill will be easier over time—many of the House Democrats I talk to expect that they'll have more success running on health care in 2012. Fewer conservative Dems means more coherent messaging. In the midterms, House Democrats lost a lot of swing seats—which means the caucus as a whole is a lot more liberal, and a lot less ambivalent about health care reform. "From a messaging perspective, sure, it's easier," says Kentucky's John Yarmuth. "Although I'd rather not have lost them!" What's more, even conservative Democrats are starting to defend the bill—yesterday, Heath Shuler, who voted against reform, said that repeal would be "immoral." Why the shift? Iowa Democrat Bruce Braley argues that many conservative Democrats learned in the bill that running from the health care bill wouldn't be enough to save them—so they may as well defend it. House Dems no longer have to worry about the Senate. 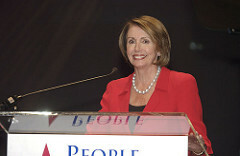 "It's easier when it's just the House," Nancy Pelosi told reporters earlier today. "We're responsible for ourselves. Last year it was what's going on with the Senate, one day to the next." In other words, now that House Democrats are no longer tethered to the odd whims of what the Senate's doing, they can settle on a much more coherent message. Being in the minority is liberating. "Maybe it took being in the opposition to get us focused," says Rep. Paul Tonko (D-NY). These days, Republicans are the ones getting blitzed by questions about the ins and outs of repeal—what would happen to seniors in the donut hole who have already received their checks, or what sort of timeline they've set for alternatives to the Affordable Care Act. 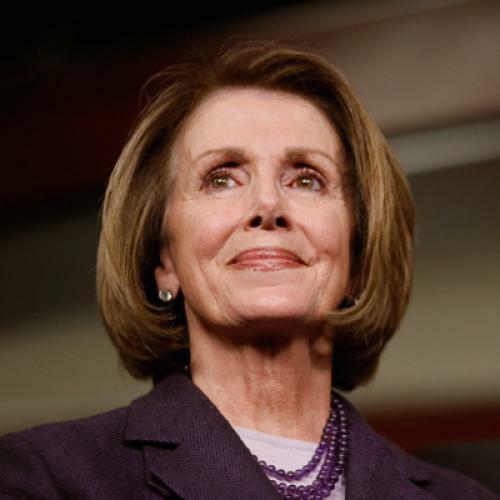 House Democrats, by contrast, are free to criticize—and they've been doing it well. Of course, being in the minority has its downsides, too. For one, Democrats have no way to stop repeal from going forward (although the bill won't go anywhere in the Senate, so that's not a pressing concern). What's more, it's still a lot harder getting press attention these days. At the Democratic hearing yesterday—the one featuring seven people who would benefit from reform—many of the political reporters milled about for a half hour before leaving en masse—to go to a press briefing scheduled by Eric Cantor, the Republican House Majority Leader. Having no power isn't all fun and games.